Two men who were stuck in a collapsed trench in Windsor on Tuesday have died. 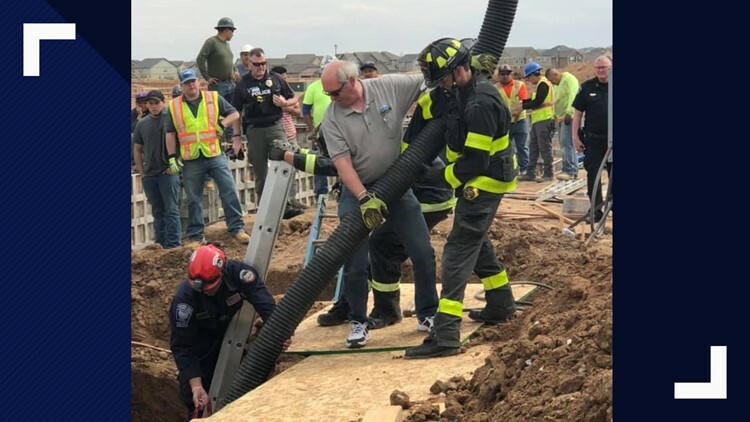 WINDSOR, Colorado — Two men who were trapped after a trench collapsed at a construction site in Windsor on Tuesday have died from their injuries, according to a release from Windsor Severance Fire Rescue. The men were identified on Wednesday as 26-year-old Cristopher Lee Ramirez, of Boulder, and 41-year-old Jorge Baez Valadez, of Denver. The formal cause of death for both victims will be released after autopsies are completed. Chief Chris Kazian with Windsor Severance Fire Rescue said firefighters did not see a trench box in place. A trench box is a metal shoring system that workers use for protection. Emergency personnel has since cleared the scene. Just before 2:30 p.m., a trench about 15-feet deep collapsed in the 900 block of Camberly Court, trapping two men who were doing piping work on a new home, Fire Chief Kris Kazian said. When rescuers arrived on scene, other workers at the site were attempting to dig the men out. Kazian said crews were able to make voice contact through a PVC pipe with one of the men, but not the other. "Family members of the victim with whom crews were able to make contact with were able to talk to the victim with the use of specialized equipment before he passed away from his injuries," the release reads. Due to soil conditions in the area, rescue crews had to use small shovels and buckets to remove the soil from around the workers, the release says. “This operation took several hours due to the nature of the situation,” Kazian said. “Our focus was on preventing no further harm to those trapped, or to the crews working to rescue them." By the time emergency crews reached the trapped workers, both had succumbed to injuries sustained in the collapse, according to the release. 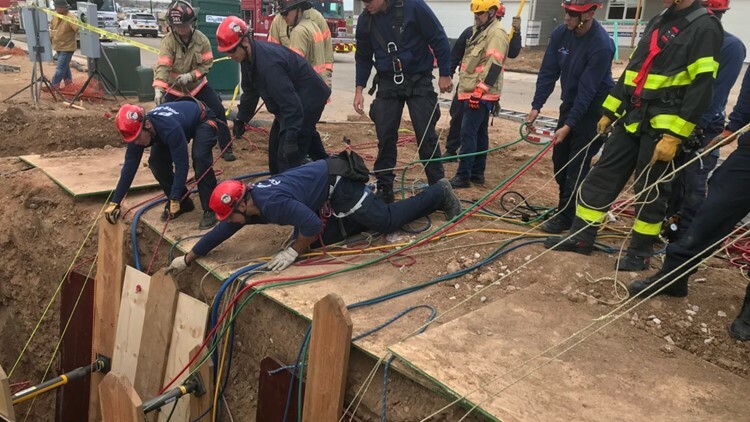 More than 60 first responders and technical rescue specialists with Windsor Severance Fire Rescue, the Town of Windsor Public Works, the Greeley Fire Department, Poudre Fire Authority, and Loveland Fire Rescue Authority are currently at the scene working to get the two men out. An investigation by federal, state and local authorities is ongoing.